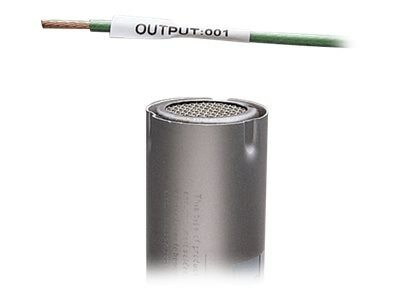 Panduit labels are designed to meet the wire and cable labeling needs of organizations with high-performance requirements. The labels are pre-cut, heat-shrinkable flattened polyolefin that readily accept thermal transfer print. These labels allow legends and text to be printed and read from two sides and feature an innovative liner perforation and open-end design to streamline printing and label installation.